← Amanda Blu Jewelry is now online! 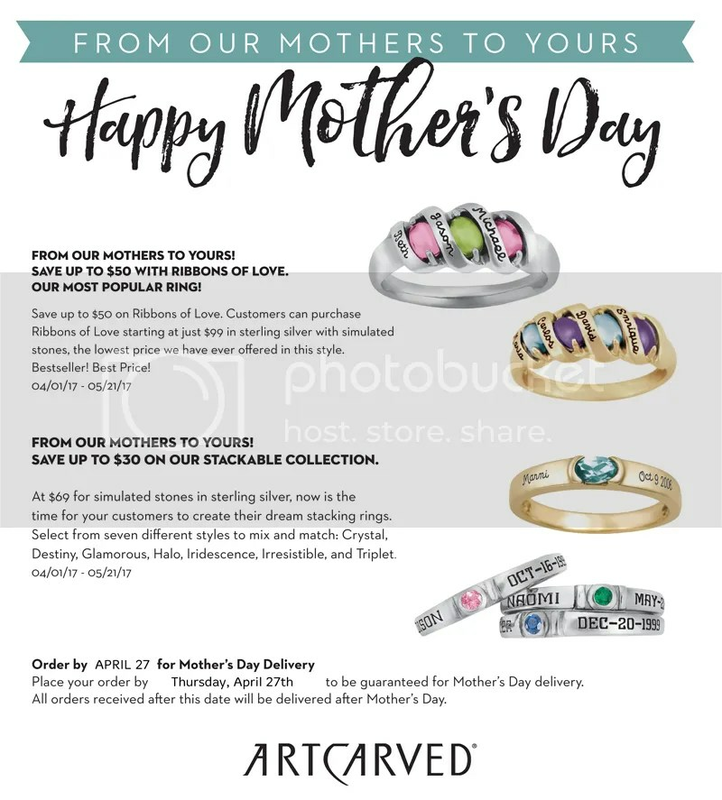 Order your Mother’s Day Artcarved Jewelry by Thursday, April 27th, to receive in time for her day! Save up to $50 with the Ribbons of Love Collection. Starting at just $99 in sterling silver with simulated stones, the lowest price we have offered in this style. Save up to $30 on the Stackable collection. At just $69 for simulated stones in sterling silver, now is the time for you to create your dream stacking ring. Select from 7 different styles to mix and match: Crystal, Destiny, Glamorous, Halo, Iridescence, Irresistible and Triplet. This entry was posted in Birthstones, Jewelry, Jewelry News, Jewelry Promotions and tagged artcarved, gifts for mom, Jewelry, jewelry warehouse, mother's day, mothers day gifts. Bookmark the permalink.